How About a Side of Family to Go With That Franchise? I have now been the Great Harvest Franchise Development Specialist for a year. Nearly every call over the last year has included that question ─ and I am sure it’s one every franchise development specialist is asked. The standard answer is pretty straightforward – support, marketing help, training, etc. However, the one thing we have that may not be offered by every franchise is family. 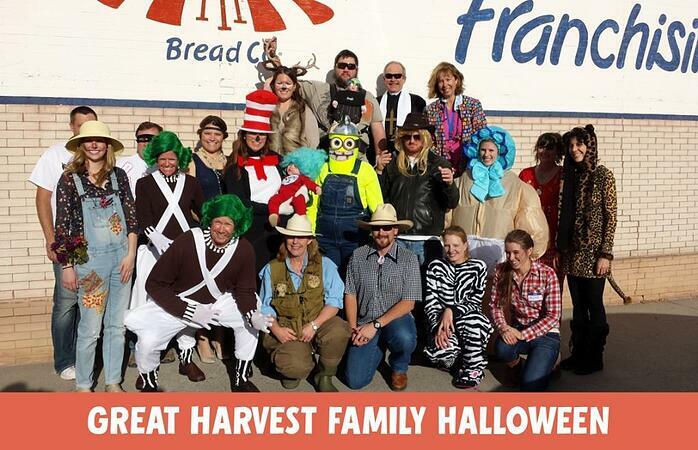 As an owner or a franchise employee, becoming part of the Great Harvest family is something tangible. It’s not just words at Great Harvest – it truly is something we can stand behind. As I mentioned, I have been part of this family for a year as of July 1st. Of course, during the interview process, I heard time and time again that Great Harvest was “one big franchise family.” It would be fair to say that I was skeptical. After all, I was already part of an office family. My previous employer was a small branch office for a larger financial company. I worked with no more than four people in my office. How could Great Harvest ─ which employs over 30 franchise employees and has 200 stores throughout the United States ─ be a family? It didn’t take long for my skepticism to wear down. 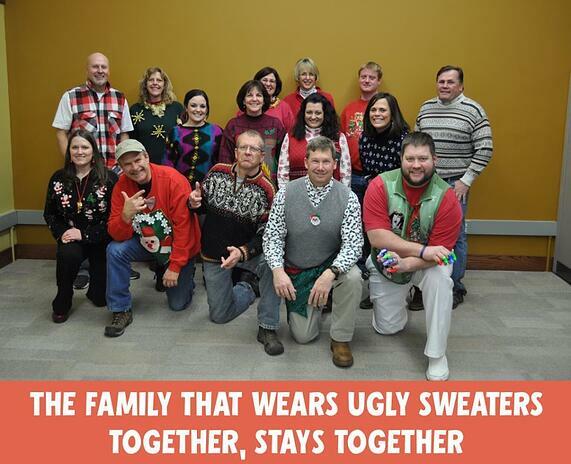 Family really is a culture here. 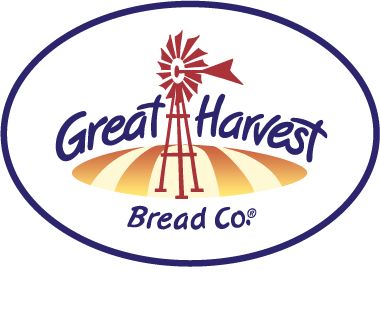 As the franchise development specialist, I have the opportunity to work closely with candidates who are interested in being Great Harvest Bread Company owners. During their path to ownership, we talk in depth about the importance of having a healthy relationship with the franchise office and fellow owners. People matter. I’m sure that they, too, are skeptical and question if I’m just “selling” Great Harvest when I tell them how much relationships matter to us. I am continually amazed at how important relationships are at Great Harvest ─ whether it is relationships between owners, relationships between franchise staff and owners, relationships in the community, or relationships between franchise employees. I have witnessed the support system of Great Harvest, first hand, on many occasions. Our owners have access to an intranet website which acts like an information highway and forum. I am always blown away by the support our owners show each other – from menu ideas, to where to buy the best dried apples, to the best way to market during the slow season. Great Harvest owners genuinely care about each other’s success – and I believe that can be attributed to the culture that is instilled from that very first phone call to a prospective lead. This year I attended my first Great Harvest annual convention in Palm Springs. I was not prepared for the number of hugs I received from owners who had never even met me. Sure, we had exchanged phone calls and emails but I certainly was not expecting to be welcomed with open arms (literally). I can honestly say that I may never have to “plan” another vacation because I have been invited to many owners’ hometowns. Instead of the “Great Harvest Bread Company Annual Convention,” the name could be changed to “Great Harvest Family Reunion” and I doubt anyone would question the change. If the convention didn’t solidify the fact that Great Harvest was just one big family – my next experience did. After the convention, I had to be in Iowa for another obligation. All told, I had to be out of town for three weeks, so my mom traveled halfway across the state to watch my school-aged son. 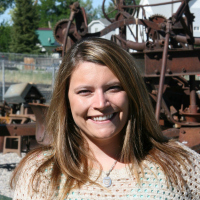 Murphy’s Law prevailed and my mom was needed back in Eastern Montana for a family emergency. Meanwhile, missing school was not an option for my son and I was thousands of miles away. Quickly, I turned to our Great Harvest family. In one frantic text, my son had a place to stay for the next few days and my mom could return where she was needed most. My co-worker, Andy, and his family did not hesitate once to help us out. Lending a helping hand isn’t the only way we support each other here at Great Harvest. We support each other’s families, too. From fundraising to birthday parties to being part of the cheering section at sporting events, it is easy to see the Great Harvest family at work. Supporting one another extends well outside of Dillon, too. A few weeks ago our office marathoner, Kathy, ran in the Grandma’s Marathon in Duluth, MN (as an aside, her husband Mark and brother-in-law are also Great Harvest employees . . . in all fairness, I already mentioned that family matters here). Over the course of a few decades, they have forged a strong bond with the owners of the Duluth bakery, Ian & Liz Lidd and Lee Davidson. Not only did the owners help entertain Kathy and Mark during their trip, Kathy and Mark worked in the bakery to help support the busy weekend in Duluth. 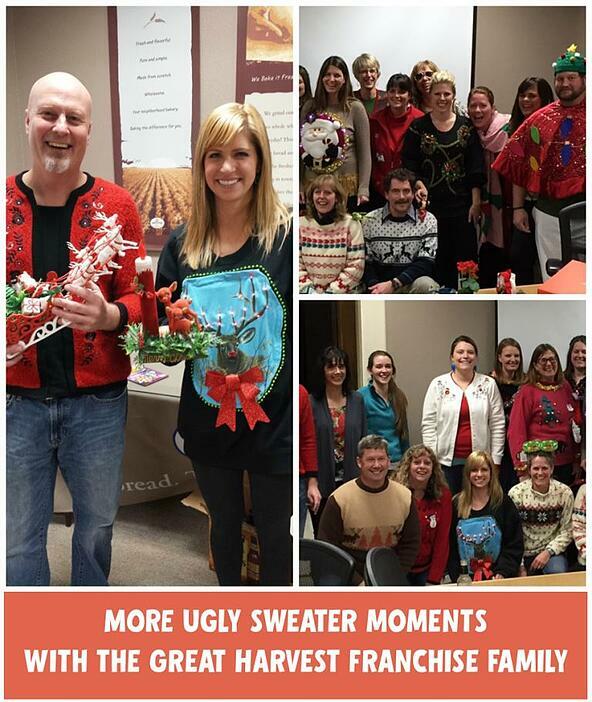 The franchise family extends beyond the franchise office and owners – bakery employees are part of our family, too. Here’s a story an owner recently shared about their experience with relationships in the Great Harvest system. A Great Harvest employee happened to be visiting a town where another Great Harvest was located and went to visit the store. The store was closed ─ but the door was unlocked. The employee quickly called their own boss (many states away) who promptly called his fellow Great Harvest owners so they could lock their store. Potential catastrophe avoided. Part of being a family is looking out for one another. I cannot say for sure but I would imagine that there are not many franchises that breed this type of culture. People matter. Relationships matter. I could coin the term “franily” but family is far more fitting and far more meaningful. At Great Harvest, you are more than just a number. You are family. This past year certainly turned me into a believer. Great Harvest Does Things A Little Differently. Get to Know Us Better.